It appears that DOCTOR WHO’s Matt Smith could not resist getting his kit off one last time before his Doctor dies in this week’s Christmas special, “The Time of the Doctor” — as these photos attest. Since show-runner Steven Moffat has been promising that there will be callbacks to all of Matt’s seasons as the Doctor, this is obviously a reference to the Doctor’s shower scene in “The Lodger” from series five. What is Clara (Jenna Coleman) pointing at? 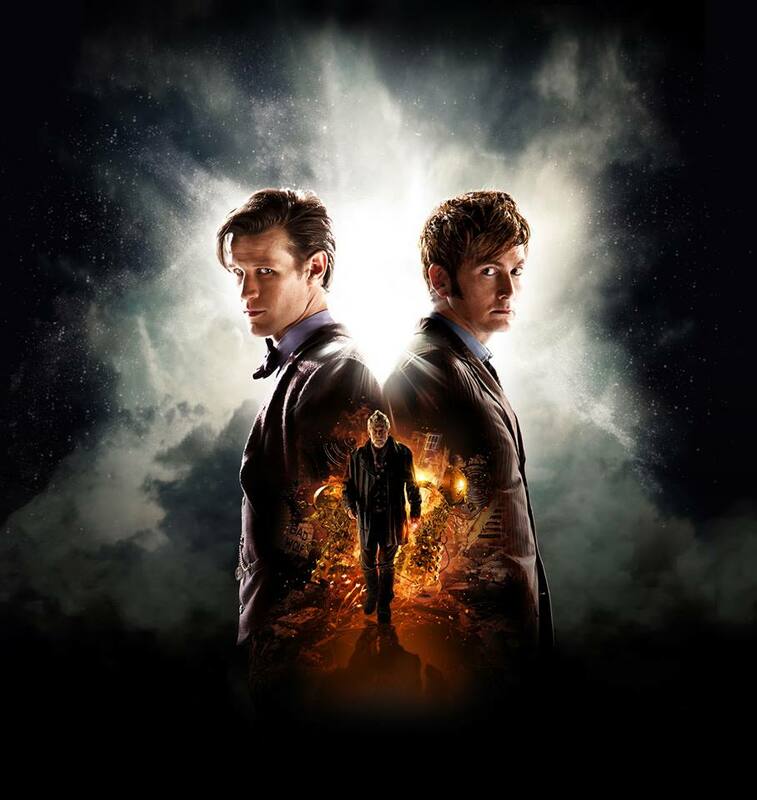 — The Doctor and… the Doctor? At last, the Doctor’s greatest secret is revealed. Not his name, or the reason he left Gallifrey — but rather that he has been hiding an entire persona, apparently even from himself. That never-before-seen face (John Hurt’s face, to be precise) was hidden way down deep at the bottom of the Doctor’s mind, and now Clara knows about it. The reveal of a previously unknown incarnation of the Doctor has shattering repercussions — only the very least being the potential renumbering of the faces we’ve already seen. 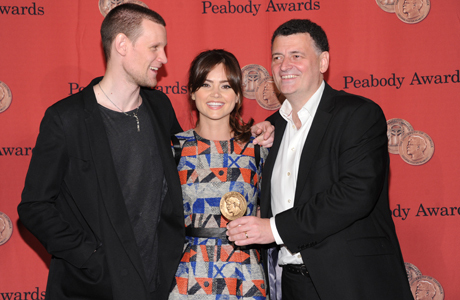 The University of Georgia Grady College of Journalism and Mass Communication presented a Peabody to DOCTOR WHO this week, recognizing its ageless contribution to television — which seems particularly appropriate this year, as the show celebrates its 50th anniversary. The George Foster Peabody Awards recognize distinguished achievement in the broadcast arts and it is the most highbrow, distinguished and prestigious award in American media. 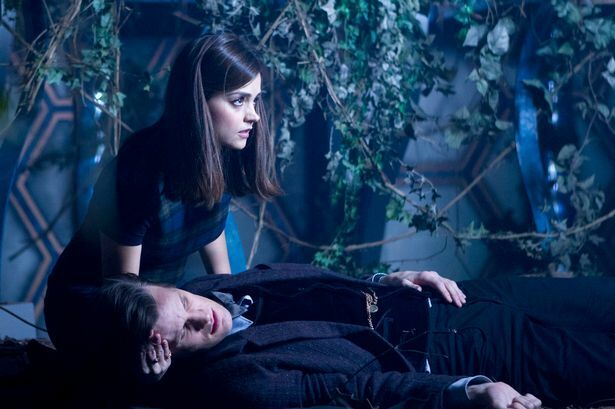 It was accepted Monday night (May 20) on behalf of the program by executive producer and lead writer Steven Moffat as well as stars Matt Smith (the Doctor) and Jenna-Louise Coleman (Clara).